Child-care issues have gained national traction in recent weeks as at least three candidates for president have raised concerns. For the first time, the city of Boston is including a survey about child care in the annual census it is sending to residents this week. City leaders say they recognize that finding affordable, quality care has almost become a holy grail for many parents, and they want to assist — but they need better data to help shape potential solutions. 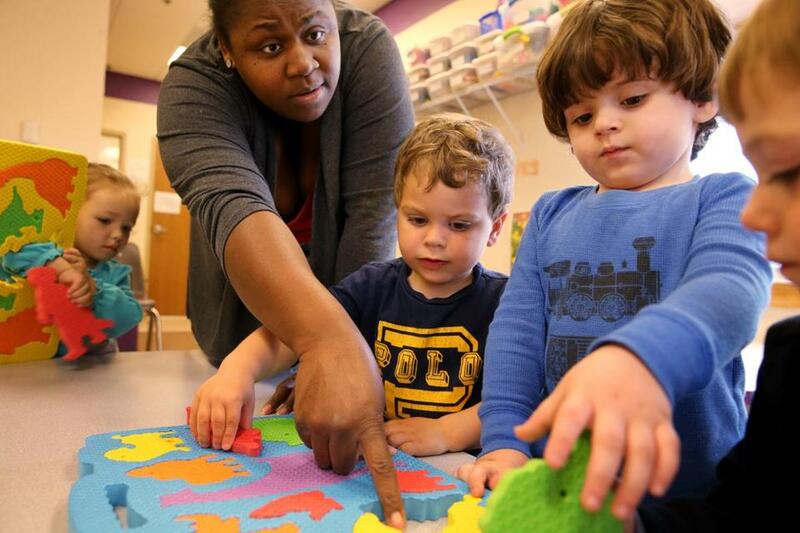 Child-care issues have gained national traction in recent weeks as at least three candidates for president — Massachusetts Senator Elizabeth Warren, and Senators Kirsten Gillibrand and Kamala Harris — have raised concerns. Warren on Tuesday unveiled her proposal for universal child care, a plan she said would significantly increase the nation’s spending on such care and be paid for by a tax on the wealth of the richest Americans. Mayor Martin J. Walsh has pledged to create universal preschool in Boston and has made modest progress toward that goal, enrolling about 3,000 children this year in pre-kindergarten classrooms. Del Rio’s Office of Women’s Advancement, in its efforts to address gender pay equity, found that child care is a prime factor pulling women out of the workforce. In Massachusetts, families pay more than $20,000 annually for just one infant in a day care center, according to Child Care Aware of America. “It’s more expensive than UMass tuition,” Del Rio said. It also includes specific questions about the problems parents have encountered with child-care arrangements, such as distance from work or home, compatibility with family schedules, and concerns about quality. Since 2010, almost 300 home-based child-care businesses (known as family child care) have closed in Boston, representing almost 40 percent of such businesses operating at some point during that time frame, according to city records. Meanwhile, the population of children under 5 has increased steadily. Del Rio said her office often hears about families struggling to find child care, but it lacks concrete data on precisely the most pressing pressure points. The city’s strategy of reaching out to families first is a smart one, said Katie Hamm, vice president of early childhood policy at the Center for American Progress, a nonpartisan think tank that recently conducted a national survey about attitudes on public investment in child care. It found a sizable majority of American voters surveyed— 77 percent — support increased investment in child care and early education. The center found that quality of care is undermined by low pay, high turnover, and limited professional development opportunities for those working in the field. High costs are an urgent concern for a lot of home-based child-care businesses, which comprise most of the child-care operations in Boston and across the state, according to city and state data. The owners of these businesses in Boston are almost exclusively female, and disproportionately people of color and immigrants, according to Del Rio. If the new survey finds that families are seeking more of these home-based child-care businesses, the city may be able to offer struggling operators technical support to help them become more profitable, or help them organize space to better accommodate their operations, Del Rio said. The city hopes to publish results of the survey by summer. Aggressive steps by a city to improve the accessibility of child care can translate into significant improvements in families, according to the Center for American Progress. A recent center analysis of Washington, D.C.’s public preschool program credited its expansion with a 10 percentage point increase in the number of women in the labor force.